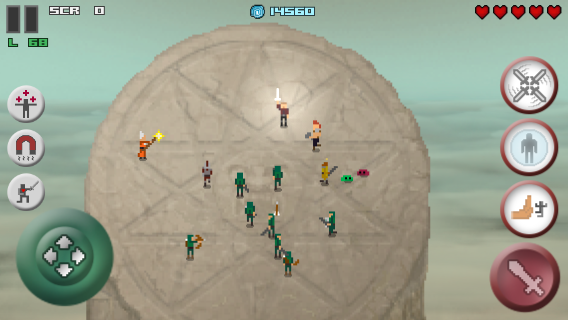 Pick up a magic sword on the ancient pillar of sacrifice and fight to become the 'Only One' left standing. 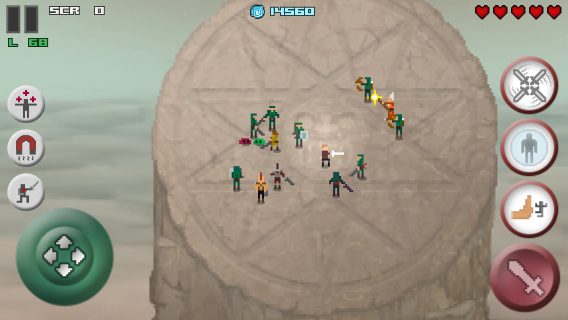 You arrive on a ancient sacrificial pillar in the sky where you pick up a magical sword and make a vow to become the only one thus unleashing a horde of enemies bent on overthrowing your place. is this only an app? Your game is lovely, I especially like the Loot Gnomes (the characters and animation make me want to play Sega's Golden Axe, Atari's Gauntlet, and Exidy's Crossbow).